This is the time of year when gardening is a pure pleasure. It is that magical time in between spring and summer when everything is still lush, green, and full of promise. Flowers are blooming, bees are busy doing their work, and the first of my favorite summer vegetables are coming in. 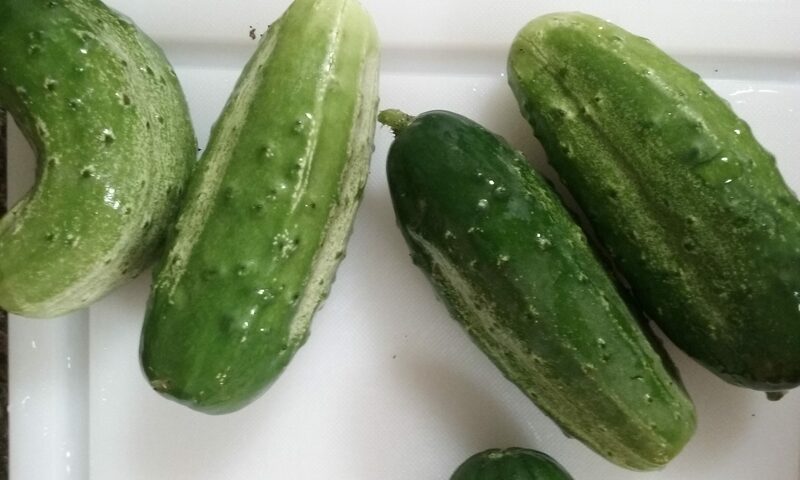 Cucumbers are absolutely the best when they are small and fresh off the vine. My son loves pickles, so most of ours go into mason jars, but this year I tried something new. 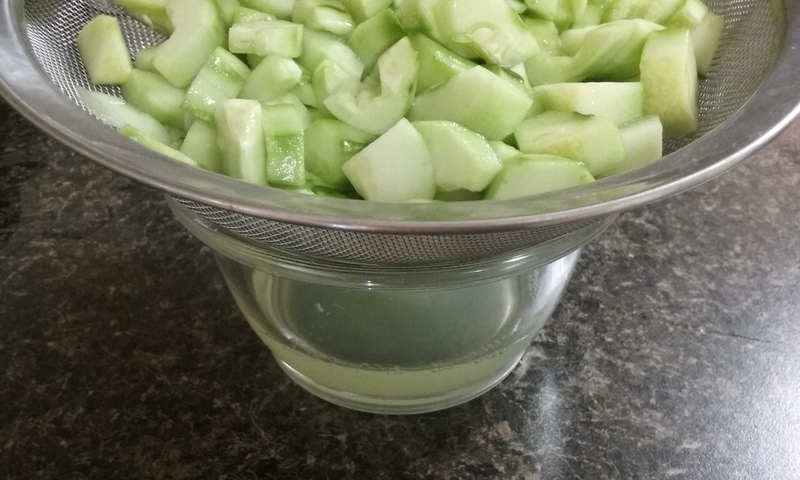 Refreshing cucumber soup is so easy to make! Just remember to blend the soup and chill for at least 8 hours before serving. After a long rest in the refrigerator, the soup will be creamy and thick and delicious. This soup is a wonderful appetizer since it is so light, or you can serve it with some sourdough bread sliced thin. Absolutely yummy. 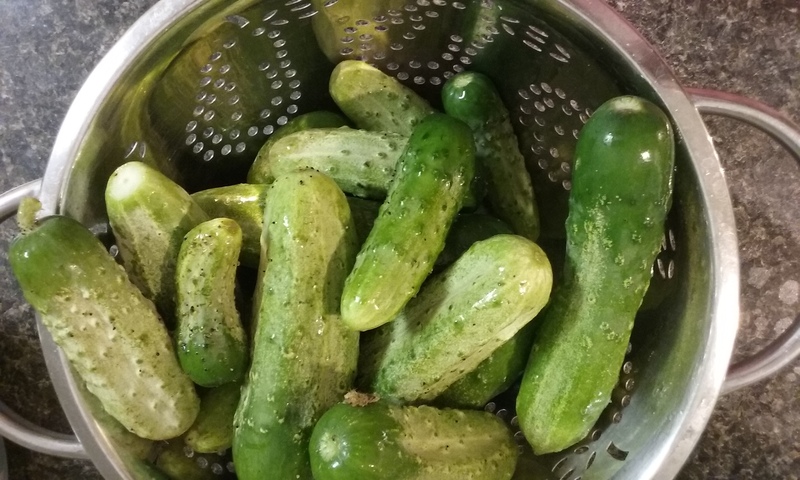 You will need about 4 or 5 small to medium cucumbers for this recipe, but the amounts do not have to be exact. Wash, peel and seed the cucumbers. 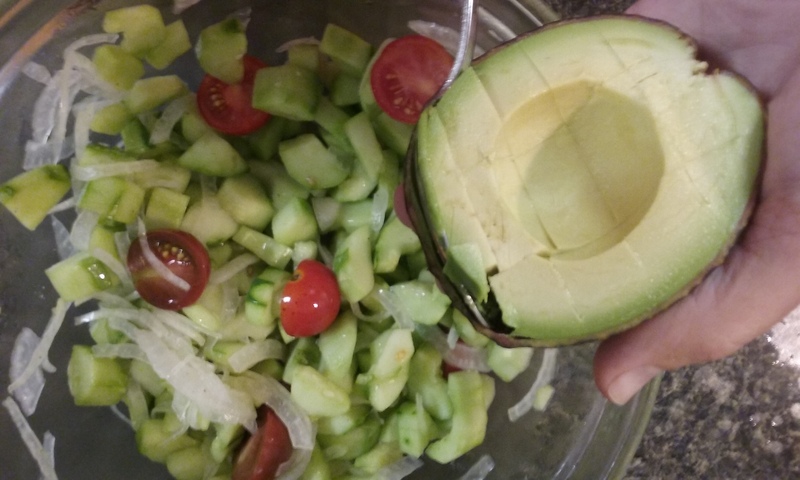 To get the seeds out, slice them into long quarters and slide the knife down on an angle (see the picture above). Place all the ingredients in a blender, food processor or smoothie maker and blend until everything is very well incorporated and smooth. Pour the soup into a container, cover tightly and refrigerate for at least 8 hours or overnight. Serve cool with a garnish of fresh dill. Let me know if you try this recipe!